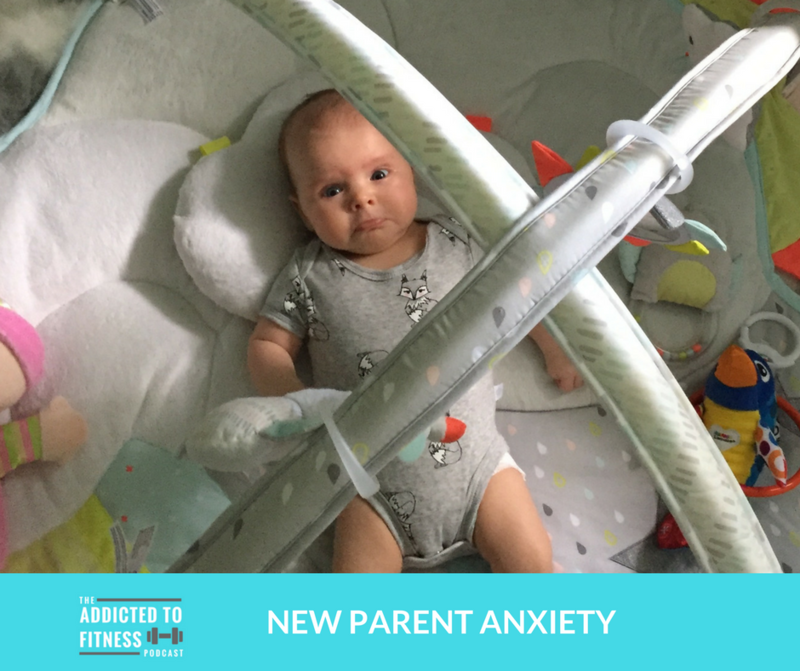 Shannon and I describe our experience with the common, yet often undiagnosed, health disorder postpartum anxiety on this week’s Addicted to Fitness podcast. Before we share our very personal feelings about being new parents, we want to let you know what our listeners have been saying. Our good friend & avid ATF listener Katie Carlton (who’s husband Steve was on an episode of the ETT wrap show that we recorded on the day of our wedding) asked if we discussed the origins of the podcast & my personal fitness journey. We actually did do that in a recent “from the vault” podcast, episode 85 to be exact. Katie’s question did prompt us to discuss sharing Shannon’s fitness origin story. Stay tuned for that! I’ve been fortunate enough to add a few new ETTampa clients at Tampa Strength. Speaking of Tampa Strength, that is one of the only places in Tampa Bay where you can try Stick Mobility. If you’re interested in trying this innovative training modality, contact me to reserve a spot in our biweekly group class. First session is FREE! I also registered for a yoga event that includes a CBD oil workshop. I’m interested in learning more about CBD oil because I’ve been hearing that it can help reduce inflammation, pain and even seizures. Shannon actually works with the individual who is running the class and she was able to give her more insight on the use of CBD oil and Yin yoga, which is apparently a very restorative form of yoga that focuses on alignment & connective tissue. Speaking of yoga & Shannon, she’s been sticking to her daily sessions which last anywhere from 10-30 mins. Thankfully she’s been able to maintain regular yoga sessions because her attempts to get back on our Peloton cycle have been stymied by a much more important responsibility that happens to be related to the main topic of this podcast. 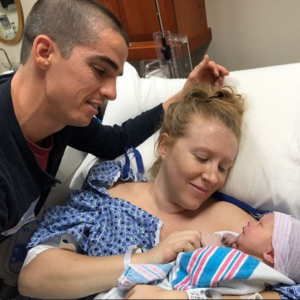 We discussed postpartum depression way back on episode 65 while Shannon was pregnant with Ella. It’s approximately 9 months later and now we want to let you know how we’re dealing with the anxiety associated with being new parents. Postpartum anxiety hasn’t really been diagnosed as a condition like postpartum depression but according to the Mayo Clinic, 89% of new parents experience symptoms of postpartum anxiety (source). I’ve been experiencing a wide range of emotions including fear and uncertainty, mostly created by trying to balance raising a child/being an active parent and running a business/serving clients. Thankfully Shannon and I chose to get Ella on a daily routine which I believe minimizes the amount of stress we experience on a daily basis. It may be stressful, but I love the fact that I get the opportunity to be a parent, husband and business owner. Shannon experienced serious anxiety symptoms about 3 months after Ella’s birth. She worried about everything! Was Ella sleeping enough? Eating enough? Did she have gas? Was she too cold? Too hot? Sharing her feelings with me & other parents along with meditation allowed to her realize that those feelings were causing her to miss out on the joys of this period of Ella’s life. It’s important to acknowledge that postpartum anxiety is as serious as postpartum depression. If you’re experiencing these feelings, we encourage you to share them with your partner or a confidante. We also believe that taking care of yourself physically, through proper diet & self care, can help mitigate the feelings associated with new parent anxiety. 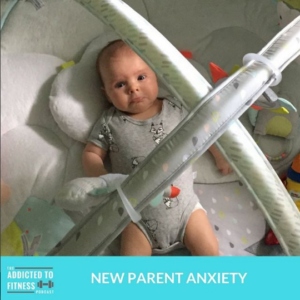 If you’ve experience similar feelings, and are comfortable sharing them, please let us know about your postpartum experience on the Addicted to Fitness podcast Facebook page. You can also let us know what you think about the podcast by leaving us a rating & review in the iTunes store. We’d also appreciate it if you gave us a follow on Twitter @TheATFPodcast. 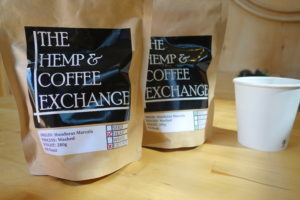 Don’t forget to visit our sponsor’s website, hempcoffeeexchange.com, read about their awesome products, and use our exclusive promo code “ATF” at checkout to get 20% off your order.